This Post has already been read 380 times. Pakistan Telecommunication Company Limited (PTCL) had a memorable 3D Digital show as part of Pakistan’s 71stIndependence Day on 13th and 14th August from 8pm to midnight for general public. People from all walks of life were welcome to come and enjoy a special 3D Digital Mapping and Animation light show that was displayed on PTCL HQ building, G-8/4, Islamabad. This light show was one of its kind, which is taking place for the first time in Islamabad, and was the main attraction for the spectators. This 3D Digital show was projected onto the building rather than the traditional screen, with digital 3D mapping and people seen it from a distance. 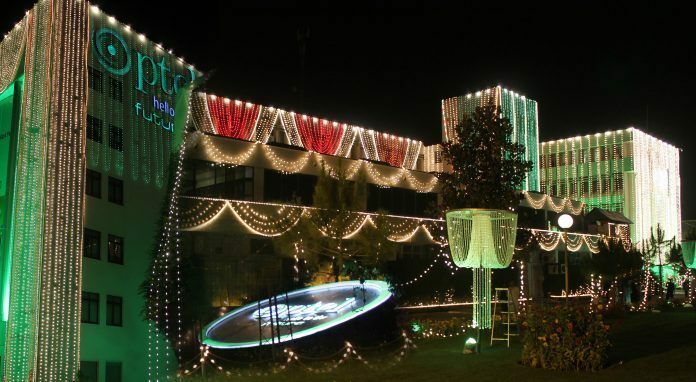 The light show at PTCL HQ building was repeated on both August 13th and August 14th in the evening time.